USD 480 Liberal school closed Thursday, February 7; cancel all activities, including BB against Dodge City. 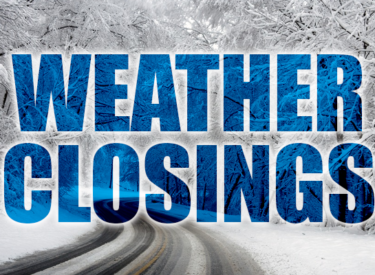 USD 483 Plains, Kismet, SW Heights schools closed Thursday. SCCC campus and classes delay opening until 11 am Thursday. USD 209 Moscow delay two hours Thursday; no morning preschool. USD 226 Meade delay two hours Thursday; no morning preschool. USD 452 Stanton County delay two hours Thursday; cancel all activities. USD 507 Satanta delay two hours Thursday. Follett (TX) ISD schools delay until 10 am Thursday. Liberal Memorial Library closed Thursday. Liberal Senior Center closed Thursday; no Friendship meal deliveries Thursday. Seward County courthouse and offices delay opening until 10 am Thursday. Southwest Guidance Center closed Thursday. Liberal Childcare Learning Center closed Thursday.